Driver’s education – we’ve all been there. As a student, you sit through mind-numbing hours of how to identify traffic signs by their color and how to parallel park. As a parent, it’s the ultimate exercise in patience and restraint as you attempt to prevent your teen from seeing the fear in your eyes or white-knuckled grip on the door handle. This year, with five two-day events in four U.S. cities, the “Mopar Road Ready Powered by Dodge” program can help take some of the edge off by teaching teens about the importance of road safety. 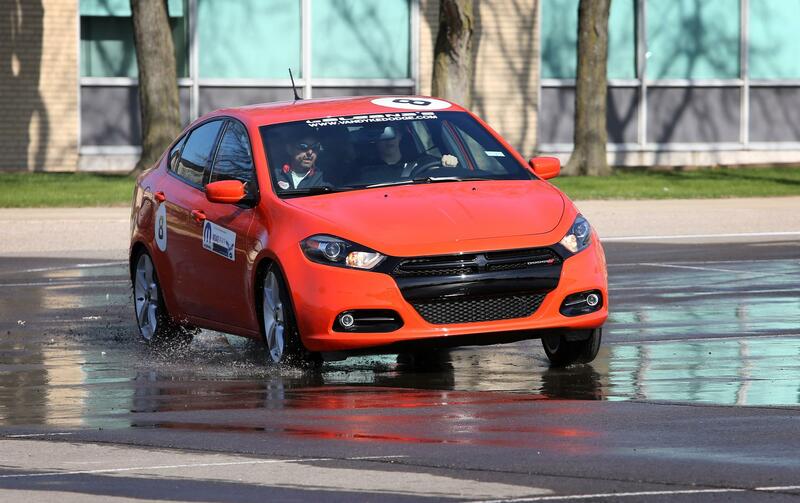 Already a proven success, more than 1,300 teens participated in the “Mopar Road Ready Powered by Dodge” program during 2015, driving the interest in growing it further. Each class is four hours of active participation for both the teen driver and their parent or adult guardian. From classroom time that reviews the basics like proper seat and hand positioning to track time that includes accident avoidance and panic stops, even the most experienced driver is sure to learn something new. There is no shortage of instructors available as well. With a student-to-instructor ratio of 3:1, each teen is ensured ample instruction time. Instructors are provided by the B.R.A.K.E.S. (Be Responsible and Keep Everyone Safe) organization, whose mission is to educate teen drivers and their parents about the importance of safe, responsible driving. For more details, including the requirements to attend and contact information, visit Putonthebrakes.org/mopar-events.